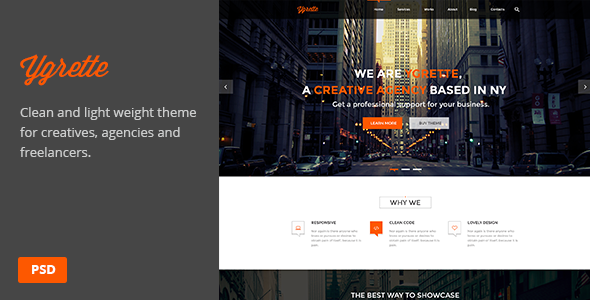 YGRETTE is a clean and minimalist theme for your agency, studio or design company. You can customize it very easy to fit your business needs. Item Reviewed: Ygrette Multipurpose Parallax PSD Landing Page 9 out of 10 based on 10 ratings. 9 user reviews.